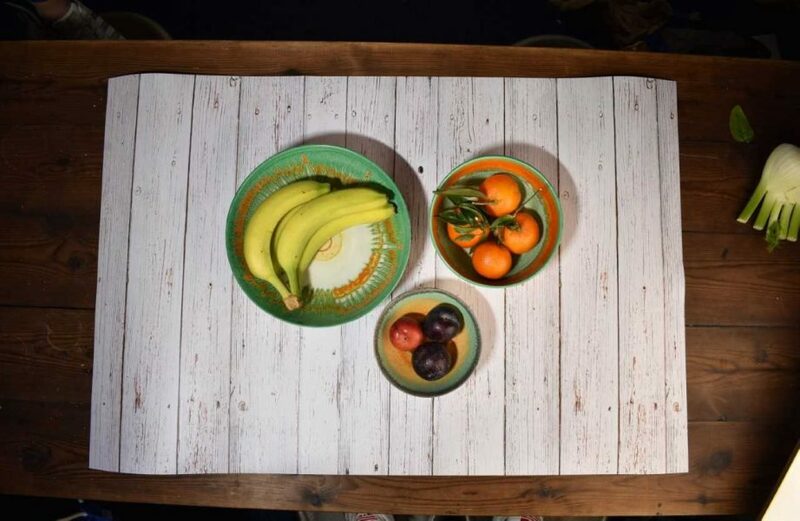 Real Versus Fake Photography Backdrops – Can you tell the difference? Photography backdrops are pretty realistic, right? We’re going to put some of ours to the test. 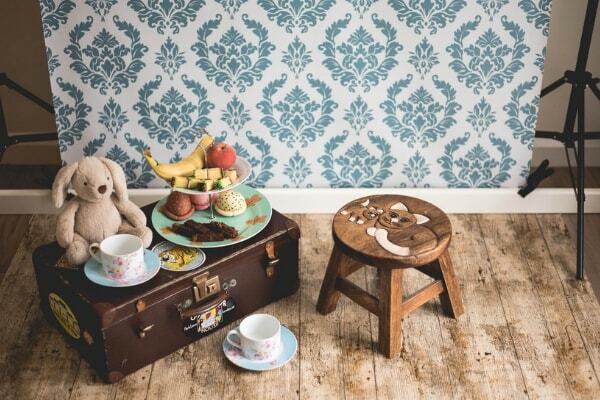 Below, we’ve taken general in-situ photographs using photography backdrops made by us. We’ve also taken very similar photographs using ‘real’ or natural backgrounds. 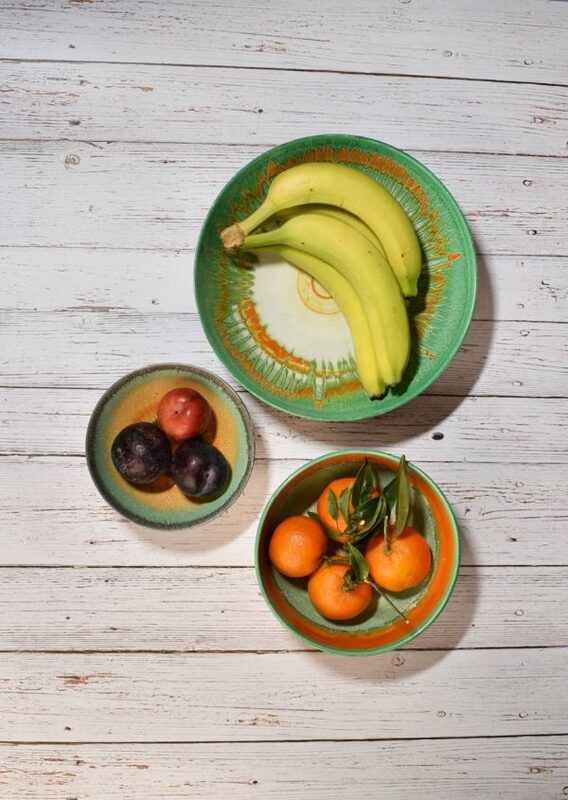 Is this fruity collection sitting on someone’s white washed table in the south of Spain? Or has our vintage white wood photography flat lay played a trick on you? Have we photographed a desk in our office? Or have we used a photography backdrop? The answer is further down. 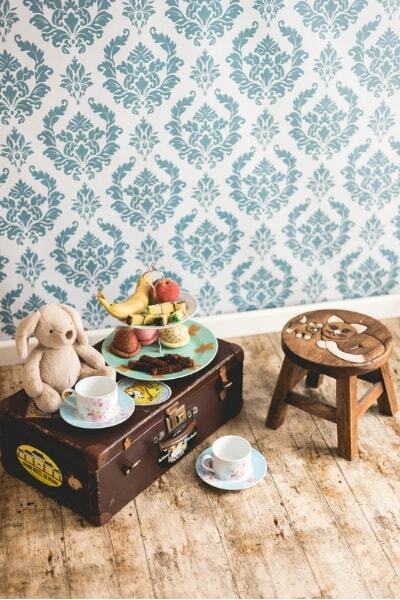 This photograph features a lovely damask effect wallpaper to set the perfect scene for the props used. Or, is this actually wallpaper we’ve used? Fake! 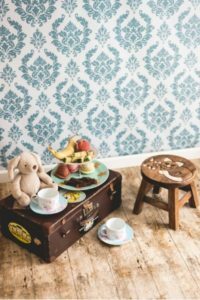 This vintage white wood backdrop may look like it’s been peeled off from a Mediterranean restaurant table – but it is simply, just a backdrop. Did you think it was real? Let us know in the comments below. Real! Thought you wouldn’t be fooled for this one? 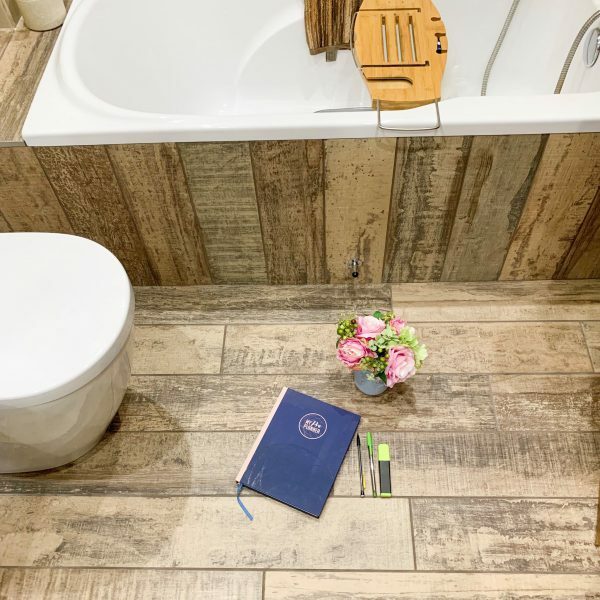 It’s not a desk, or a backdrop… in fact, it’s tiled flooring in a bathroom. Big thanks to Claire in the office for the picture. Fake! 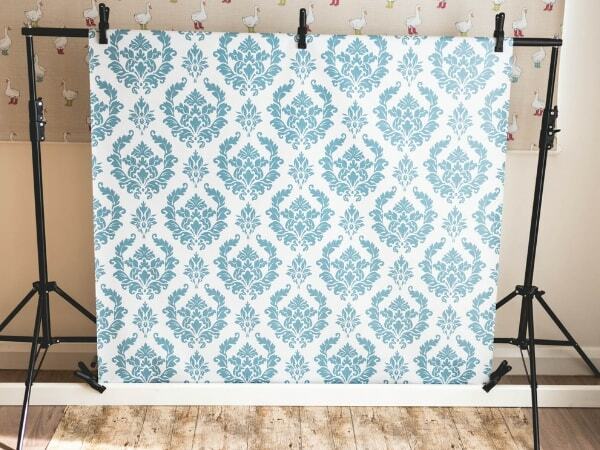 This is indeed a photography backdrop with a damask printed pattern. Who would’ve thought? Step 1: Hang the backdrop securely. 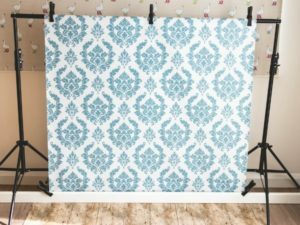 If you’re planning to hang your backdrop, you’ll need to find a suitable structure to hang it from. Don’t hang it on the first thing you see – make sure the structure is stable, safe and able to secure your backdrop without falling off. Step 2: Arrange the layout. Placement is key. Don’t overcrowd a backdrop if it doesn’t need it. Sometimes less is more. 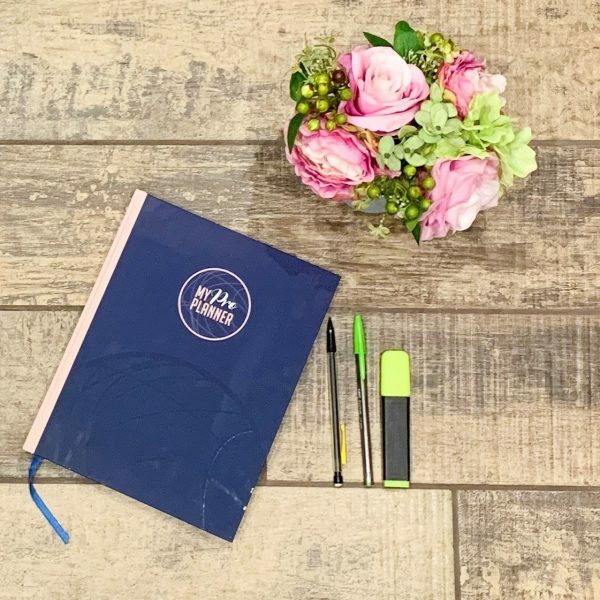 Try different angles and layouts to see what looks best, making sure your key object is the focal point in the layout. Step 3: Snap and share. Similar to step 2, photography is all about experimenting. No one will take the perfect photograph in one go. Try different angles, lighting and layouts to see which images look best using your photography backdrop. 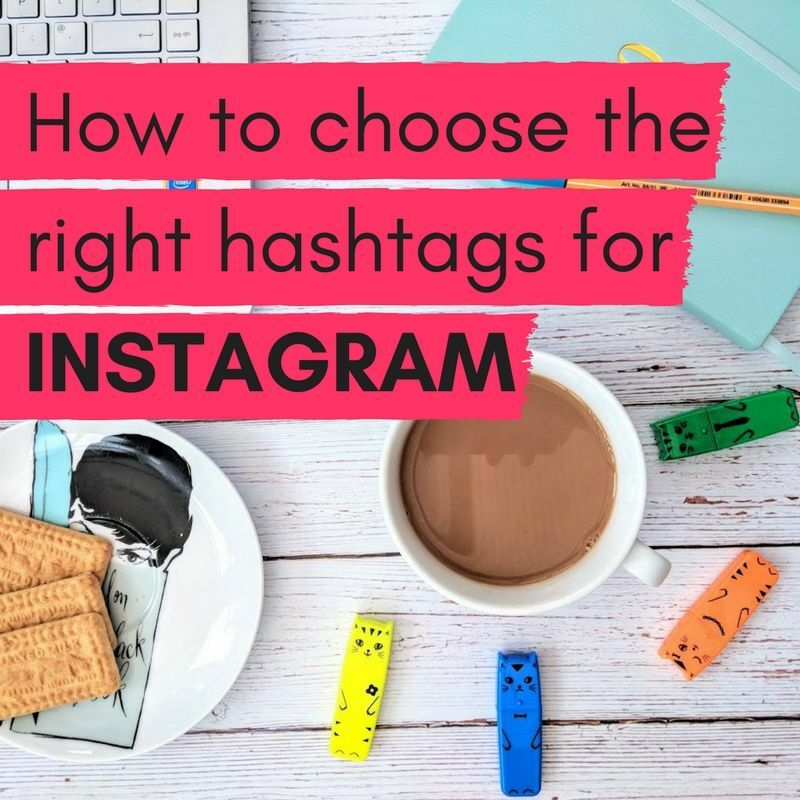 Once you’re happy with the perfect snap, crop out the unwanted parts like the frame and you’re good to go with your very own professional set of photographs – perfect to use for your business website and social channels for sharing. Do you have any photography backdrop images or questions you’d like to send to us? Share them with us in the comments below or send us an email at marketing@expressexhibitiondisplays.co.uk.